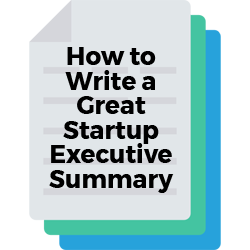 This is a best-practices guide to learn how to write a great startup executive summary for your startup or business. It serves as an example and shows you a template of what’s needed to write one. 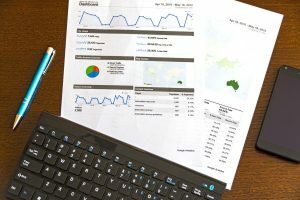 You can use this post to help you with writing an executive summary for investors in hopes of getting funding or just writing it as a guideline or business plan for your startup. 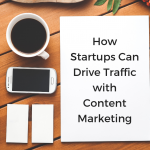 You can know nothing about starting a startup and by the end of this post, you’ll have learned about the main topics you need to concentrate on in order to create a successful startup. No worries. Let me send you a copy so you can read it when it’s convenient for you. Just let me know where to send it (takes 5 seconds). What is the Purpose of an Executive Summary? An executive summary is an abbreviated version of a business plan which precisely highlights the main sections of it. It’s meant to be a lean version of your business plan with no extra fat. 1) The executive summary would be used for providing initial due diligence for investors. 2) The executive summary would be used for organizing the main components of a business plan for a business, or probably in your case, your startup. Why is an Executive Summary Important? If you’re looking for investment from venture capitalists, you’re going to need an executive summary because they will want to see what makes your startup a great investment for them. This is true if even you’ve had a warm introduction to the VC and especially true if you’re cold-emailing them. However, well-written executive summaries are preferred by investors because they don’t want to read huge business plans anymore. Even though the above infographic shows how a business with a business plan gets better results with funding, the same is true for startups with executive summaries when emailing investors rather than without an executive summary. This is evident when you go to venture capital firm websites and they ask for your executive summary and pitch deck more often than not. Reading business plans take up too much of their time, and time is money. So, writing a huge business plan will usually be a waste of your time too. Assuming you’ve never spoken to the VC whom you’re emailing, sending your executive summary becomes the first interaction the VC has with you. That’s how they get to learn about your startup, your team, and all of the other big topics before they invest in you and your startup. That being said, you want to make a good first impression. The goal of your executive summary is to either get a meeting with venture capitalists or angel investors or to provide it to investors for due diligence at the end of your pitch deck presentation. It is not used to secure a deal instantly. Then in that meeting, you will usually do your pitch deck presentation, answer questions, and ask questions. The goal of that presentation is to get another meeting to perform additional due diligence on your startup. And hopefully, after that, you’ll get a term-sheet which outlines the terms of the investment and how much they’re willing to invest. But you don’t have to accept their terms. It can also be used to help you with filling out applications for startup accelerators since you’ll need much of the information that you would have in an executive summary. Writing an executive summary is an amazing tool for entrepreneurs and startups to utilize even if they aren’t seeking investment. Writing an executive summary for your startup is a great way to map out your business strategy. It’s a document startup founders and entrepreneurs like yourself can go back to time and time again to help you refocus and stick to the plan. It will also help you with multiple aspects of your business development that require the information written in your executive summary such as for your website, marketing, and accounting. This is where you get the attention of the investor. Warning: If they don’t like what you have to say here, then they may not read any further. Explain why your idea is so big or revolutionary in a few brief and to-the-point sentences. Speak about what you’ve developed and why it’s unique to solving a large problem. Also, if you have any well-known or highly successful teammates with awards or accolades, then now is the time to mention that. An awesome team is valued above all else. 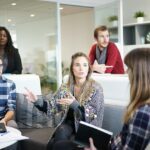 Your elevator pitch should be almost synonymous with this attention grabber, so I recommend you check out this article by Hyde Park Angels called Pitch Your Startup in 30 Seconds. It covers the necessities of your pitch. Having a sense of urgency from a market that needs your solution can be a strong motivator for investors so they can get in on the action while the time is right. If now is an especially important time-frame, then briefly but accurately explain why. Define your target customer/market’s pain point or problem (current or emerging). The #1 reason why startups fail is that they make a product/service that doesn’t address and fix a problem of their target audience, so don’t make this mistake. Show the size of the problem and the size of the market so you can show a contrast between the two. Is there a percentage of people in that market with the problem or do they all have this problem? You’re looking to show your product-market fit in this section. What’s your solution to your target customer/market’s problem? What have you created to fix it and how will it fix it? For instance, what will they be able to do once you fix their problem? How will you get it done? Be brief and concise. 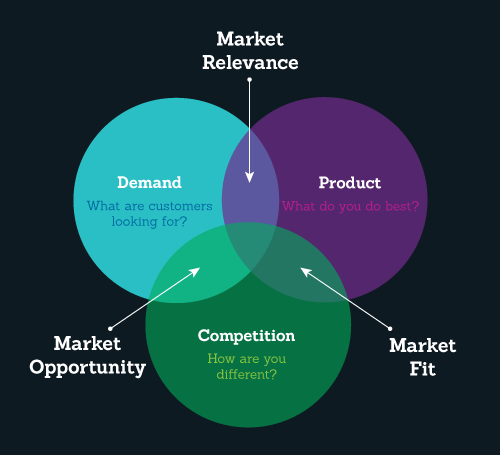 For some extra detailed information on this topic, I suggest you read our article titled: Product-Market Fit: What It Is, Why You Need It, and How to Get It. Show your business model here. Regardless of whether you’re looking for investors or not, you should always know your business model and keep it within this document for reference. Below I explain why business models are important to have, how to create a basic business model, and I address the key points so you can know how to make a sustainable business model for growth. Business models are important to have because it gives business owners and startup founders like yourself a clear vision of your primary mission and how you’re going to make money through your mission. However, having a business isn’t just about selling and buying. It’s about adding value to people and solving one or more problems within a niche or community. But it’s still extremely important to be able to make money sustainably. According to an article from the Harvard Business Review by Kevin Laws, titled “Successful Startups Don’t Make Money Their Primary Mission”, it describes how founders and their startups are much more likely to succeed if they focus on a mission rather than focusing on dollar signs. This is because they’re providing value to their target customers first, and asking for money second. We solve _______A________ by providing _______B________, to help _______C________ accomplish _______D________ and we make money by charging _______E________ to get ______F_________. option C or it can be omitted). This basic value proposition doesn’t go into depth about how your startup can be sustainable. But below, you will see what you need to factor in to make a working business model. Expenses such as Rent, utilities, services, personnel salaries, contractors, etc. Knowing your target market and size of the market is crucial for any business or startup to know. The more you know about your target customers, the more successful you’ll be at creating a successful product/service that matches your target customer’s needs. In this section, you will present the facts of who exactly your target market is and how large it is. Break it down succinctly. 1) How many people are in the market? 2) What is the market value? For example, XYZ is a $4 billion dollar market per year in the United States. I recommend you check out the following resource to learn how to estimate and calculate your market value. 3) Are you selling to companies or to consumers (B2B or B2C)? 4) Share basic market segmentation such as age groups, gender, location, the technology used (mobile/PC/tablet), etc. Make sure that this target market directly matches with your solution by following our short guide on How to Build Your Customer Profile. Investors want to see that there’s a large market for your product. A large market will have tens or hundreds of millions of people in it. Accredited investors don’t usually just invest their money in startups but also their time and other resources of theirs. This includes harnessing connections of theirs since they want to see their investment to succeed. If your target market is too small, then it’s going to be a waste of an investor’s time to invest in & work with you. It will also likely be a waste of your time trying to get accredited investment. Many new entrepreneurs take the financial side of their startup for granted, especially if there’s no money flowing in yet in the beginning. Making money can be a motivator to make more money, as can the absence of making money. If you’re not writing an executive summary for investors, then you should still, most certainly spend the time on this section. 1) Are your costs low and profits high? What makes it efficient? 3) How much revenue will you bring in from each customer monthly, bi-annually, annually, in a lifetime (Lifetime Value (LTV))? 5) Explain your overhead on production or licenses, if any. 6) What are your costs for holding warehouse stock of your product, if any? 7) How much are you paying your personnel including the founders? 8) What are your expected net EBITDA revenues five years in? Investors are usually looking for a 10x return on their investment. If you want them to invest, you must be confident that you’re going to make A TON of money and you’re going to make them much much richer. It’s really important for you, your customers, and potential investors to be able to distinguish the difference between you and your competition. When you have a great product that’s being offered, it’s highlighted even better when you can positively contrast it to your competition in both your executive summary and on your website. 1) Who are your competitors? 2) What are the differences between you and your competitors? 3) What’s your competitive advantage over your competition? 4) Will it be easy or difficult for your competitors to adapt their product/service to eliminate your competitive advantage over them? Why and why not? 5) How will you show your competitive advantages to your target market? 6) How large are your competitors’ social media and online presences and can they easily outcompete you? Slight or marginal advantages are going to make your startup look weak. Show why you will rise above them all. Patents and intellectual property rights are a part of what can make your startup more competitive, however, you still have to show how you’re going to execute your competitive advantages in your business model. Writing a powerful management section is a really important aspect of an executive summary when presenting this document to investors. It’s important for investors because they don’t just invest in startup ideas, but they also equally invest in the team behind the startup and the vision. 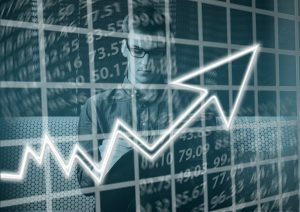 Investors want to know that if they invest in your startup, their investment will have a great likelihood of growing to its fullest potential. When submitting an executive summary to investors, the purpose of this section is to give investors confidence in you and your teammates. If you don’t have any co-founders yet, then it’s highly suggested that you find at least one. You’ve probably heard of the saying “two heads are better than one.” You can accomplish so much more by having a co-founder. And, investors want to see that the team has between two and three co-founders, but sometimes four. You can find an in-depth article we wrote on this subject here: How to Find a Co-Founder and What to Look For. Furthermore, in the first section of our article How to Create a Startup Culture of Excellence, we also discuss the traits and values that are important when trying to find a co-founder that will be a great match for your team. Remember, having a strong team to enhance your ability to raise capital will make your executive summary that much stronger. Investors are far less likely to invest in a startup with one founder than with two or three. This is because the magnitude of difficulty is very high to be able to successfully implement everything in your startup on your own. 1) Who on your team is going to do what? 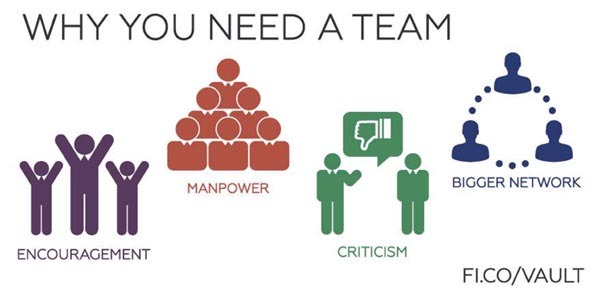 Explain the roles of your teammates. 2) Why is your team uniquely able to address this market problem and challenge? 3) What is your experience with startups as a founder managing startups and managing people? 4) What experience do your teammates and you have? Mention notable companies either of you have worked for and any major successes. 5) Who are your key advisors or mentors, if any? 1) How large is the investment you’re looking for and for how much equity? 2) What are you looking for from an investor? Just their money or their resources and connections? 3) What do you expect to use that investment towards? Break it down. 4) What will the money give you the ability to do? 5) How are you going to pay them back? Define your payback options. Many times startups seek more than just the investment they’re looking for. Startups are also seeking what else the investor can contribute. Some of these contributions can be their knowledge, their network, their experience within your target niche/product field, and even their active participation by them with you to make your startup more successful. 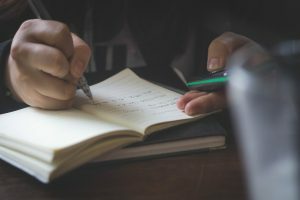 Writing an executive summary for your startup isn’t just important for your investors, but it’s important for the development of your startup. Executive summaries cover the most important aspects of your startup and what you plan to do with your business. And, if you want to move forward with writing a business plan eventually, you’ll have the core fundamentals of it where you can continue to build upon each section with more detail. The work you put into making an executive summary now will pay dividends later. Just make sure that you’ve validated your startup before you write it so you don’t waste your time. And in the spirit of not wasting time, I encourage you to read Why Learning About Startup Failure is Critical to Success so you can continue your path towards success.